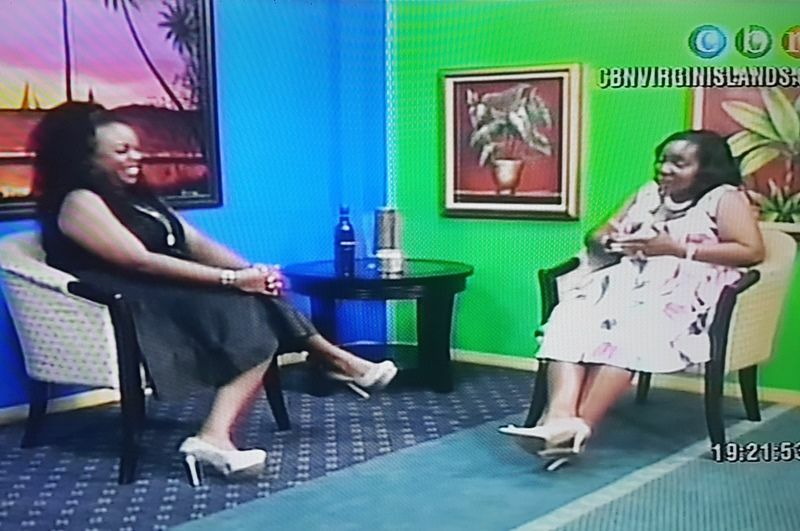 Mrs Fraser was the guest of the 4th episode for the 10 Most Influential Women for 2016 on the CBN Channel 51 series, Real Talk, with Karia J. Christopher on Tuesday January 10, 2017. “Every year you have more people so you have less jobs, and in a small country like here you don’t have a lot of avenues, so when you find a job, you stay there for a long time, if you live in other societies where it is larger you have an opportunity to move to different places,” she said. She also mentioned that she is not a believer of remaining in positions for extended periods of time. “ I would say to young folks that while you are young in teenage years, young adult years, you will find that today I want to be a teacher, tomorrow I want to be a nurse, you have different feelings at different times, so it is not necessarily that you have to zero in on one,” she noted. “So if you find that you like something, learn as much as you can about it, if it is possible that you meet someone in the area that you like and learn from them and mentor with them that’s good because it gets you involved and it exposes you to the things that you feel that you like to know if you really like it,” she added. Husband head of the household? Mrs Fraser has added her voice to the discussion on whether her husband is the head of the household. According to her, while the bible states that the man is the head of the household, “but I still believe that as a human, as an individual, you have your own thoughts, you have your own feeling and thinking. 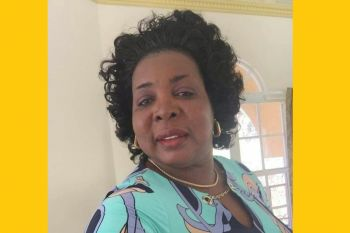 So if the person is leading and you feel like what they doing is wrong and you can see clearly that it’s wrong, I can’t see you following and doing something that is wrong,” she stated. 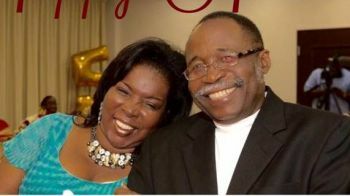 Mrs Fraser has been married for some 37 years to veteran legislator Hon Julian Fraser RA, Opposition Leader and Representative for the Third District. 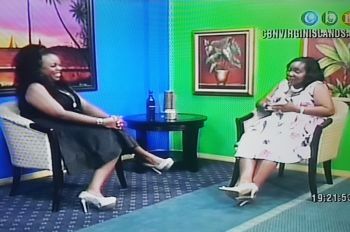 Meanwhile, the interview with Mrs Fraser will be rebroadcast on Thursday at 8:00 P.M. on CBN Channel 51. That is why I admire Mrs. Fraser so much. Very smart woman. When you find something you love to do so much it's no longer called a job. Kind of jealous of her in a good way it's great to do what you love and not care what people think. Very classy, pretty and smart. You know Fraser is proud of his wife. Well at least she respects her husband. Yes the man is the head of the woman. That is not saying that the woman can't make suggestions, give her opinions or point out in her opinion when things are going wrong. The husband should lead and women submit. Humble yourself. Divorce ratings will be reduced. Fast and pray when things don't make sense. Don't rebel against your husband. Another a super show. Karia doing the damn thing, so proud of you. You go Mrs. Fraser. You are truly a wonderful woman. Very classy and elegant. Would love to have you as First Lady. @Seen, same here, Fraser is going to be elected in 2019. NDP, you are going Downnnnnn. Enjoy doing all the dirt now, what goes around comes all the way back around. Fraser, we got your back. How much do you earn as a paid VIP or NDP blogger? How does one go about becoming one?? The VI a resource- poor and has a small, open economy; its small size comes with many disadvantages. The disadvantages include narrow economic base (tourism and financial services), small population (~40K), inability to influence prices, heavy export/light import (heavy leakage in economy), high transportation, energy and communication cost; high cost of governing, long distances from import markets, limited ability to create economy of scale, government being a major employer, little to no manufacturing, limited acreage for agricultural production, limited job creation........etc. In addition to the inherent disadvantages due to its small size, it is also vulnerable to the destructive effects of environmental degradation, global warming (rising sea level), hurricanes and other tropical systems, earth quakes .........etc. Moreover, unlike in large developed countries with diversified economies, the VI has a small number of employers and a limited number of jobs/job skills and job opportunities. Due to its small size, there is a limited demand for intermediate and high end job skills. For example, there is limited demand for engineers, pathologists .........etc. Consequently, because of the limited numbers of job skills, many skilled and trained personnel have to pursue employment outside of the BVI. The work force is approx 13,000 and by necessity, government is major employer, employing about 1/3 of the workforce. Thus, due to the VI's small size and limited job skills and opportunities and as Mrs. Fraser noted, employees stay in jobs much longer than employees in larger economies. In larger economies, employees change jobs more frequently. On average they are on the move every 3-4 years. In small economies in small island nations like the VI, employees, though in some cases are unhappy, stay in certain jobs for a career. The general attitude is if you got a job you better keep it. This situation sometimes work to the disadvantage of the employee. So what can the VI do enhance job creation? 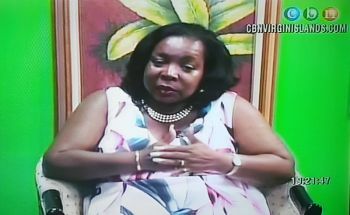 Undoubtedly, the VI needs to diversify its economy. Its two-legged economic stool (tourism and financial) is a weak economic foundation. If one of the two legs stumble, the economy will probably tumble. The BVI does not have the resources to develop a primary economy (fishing, forestry, mining) or a secondary economy (manufacturing). Its strong suit relatively is service. Its service economy ( tourism and financial services) has catapulted it to having one of the highest standard of living, quality of life, along with having one of the highest per capita income ($38K) in the region. But its perch atop the heap is being challenged. It has to diversify its economy, using its prime resource----its people. It must effectively invest in its human capital to build a knowledge-based economy. A model to bench mark can be Singapore, a small ( 270 square mile) but economic power house. One way we can counteract the over extended stay on jobs in the BVI is to develop an entrepreneurial spirit in our community. We have to train our children from when they are young to get into business. If they choose to work for government they should have an alternate support business that they can retire to. We must develop other sources of income other than salaries, such as rental properties, investment clubs, partnering with other people etc. I believe that as VI landers we should own and control at least 80% of our economy. We must put our children in position to achieve that. @Joshia's Bay, no doubt Virgin Islanders should participate in and have ownership in the economy. As a community, the VI must invest in human capital so that its people acquire the job skills to partake effectively in the job market from being the Premier down to the custodian that contributes immensely to the success of a department, division, group, branch........etc. Further, opening and operating businesses is part of partaking in the economy. Nevertheless, the VI is small with a small population. Per the 2010 Census, the population was approx 30,000 but registration for the National Health Insurance programme seemed to put the number closer to approx 40,000. Customer demands drive the need for businesses. For businesses to stay in business there must be enough demand for goods and services to make the operation profitable,i.e., to whatever hurdle rate is set (15, 20, 25, 30%.....etc). With a small population, too many businesses offering the same goods or services often means that many may have to buy locks and lock the doors. What is the business failure rate in the VI? Too often in regional countries, there are copy cat businesses, especially in easily duplicable businesses, i.e., hair saloons, bars, small retail stores.......etc. If the market is saturated with similar businesses, many will struggle to keep the doors open and make a profit. Before opening a business, one must do one's homework. For example, one must look at the number of businesses already offering the same product or service, customer demand, how can one differentiate the delivery of goods or services(keep in mind that the advanatge gain from differentiation has a small shelf life; others will copy it), can you be competitive, niche offering, conduct feasibility study, working capital needed to start and sustain the business, time to dedicate the business, supplies, labour needed, applicable knowledge and skills.......etc. Comment is not intended to deter anyone from pursuing his/her dream of owning a business. Just offering some thoughts. By all means shoot for the stars.